The combined value of Loughborough’s housing market has risen by £35,406,423 in the last 9 months, meaning the average value of a Loughborough property has increased in value by an average of £1,937. This is great news for Loughborough homeowners and Loughborough buy to let landlords as property prices have risen despite a slight hesitation in the market because of the uncertainty over Brexit. As I have always said, investing in Loughborough property, be it for you to live in or as a buy to let investment, is a long-term game. The latest survey from the RICS showed that nationally the number of properties actually selling has dropped for the 16th month in a row. Locally, in Loughborough, certain sectors of the market are matching that trend,yet others aren’t. It really depends which price band and type of property you are looking for, as to whether it’s a buyers or sellers market. The RICS also said that its member’s lettings data showed a lower number of rental properties coming on to the market. 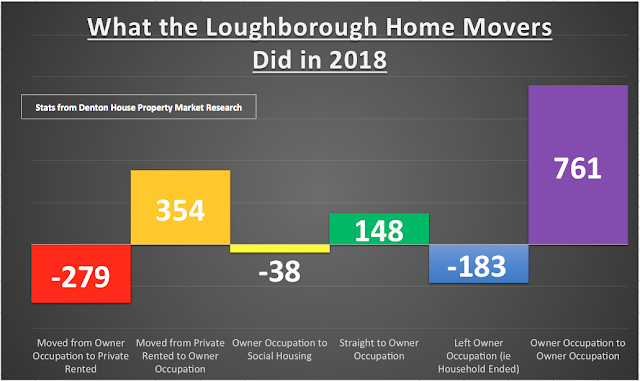 Anecdotal evidence suggests that (and this is reflected in the recent English Housing Survey figures) Loughborough tenants over the last few years are remaining in their rental properties longer meaning that there are less properties coming onto the market for rent. I have noticed locally, that where the landlord has gone the extra mile in terms of decoration and standard of finish, this has certainly helped push rents up. Having said that, those properties where the landlord has been remiss with improvements and standard of finish are in fact seeing rents drop. Loughborough tenants are becoming more particular– but will pay top prices for quality. So much so, I believe there will be a cumulative rise of around fourteen to sixteen per cent over the course of the next five years in private rents for the best properties on the market. 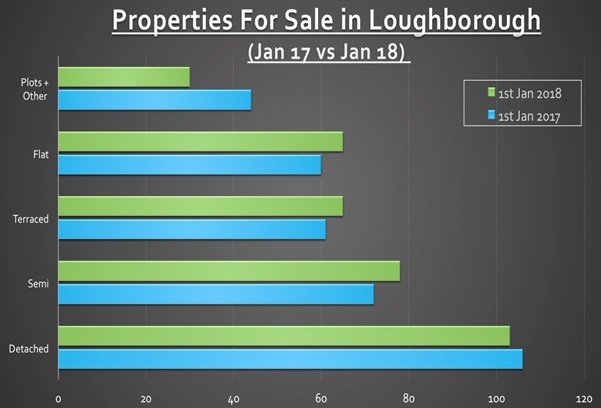 Back to the Loughborough property values though …The fact is, that over the last 9 months, 579 properties have sold for a combined value of £126,852,531. Nine months ago, the total value of Loughborough property stood at £4,470,513,309 (£4.47bn), and today it stands at £4,505,919,732 (£4.51bn). Of course, the situation in Korea, the Middle East and the negotiations with Brexit can all have an impact on the current market. But in the meantime, the on-going challenges ensuring we as a Country build more homes (although the Office of National Statistics figures released in July showed nationally that the number of new homes started to be built over the second Quarter of 2018 had dropped dramatically) makes me think that the Loughborough (and nationally) property value is likely to maintain an upward trajectory as we go into 2019. Two final thoughts, firstly for all the buy to let landlords in Loughborough (and indirectly this does affect all you Loughborough homeowners too). I do hope the tax changes towards buy to let landlords don’t bite as deep as it is possibly starting to with certain landlords I know. We talked about this in an article previously and I know why the Government wanted to change the balance by taxing landlords and providing a lift for first time buyers .. however, this may well come at the expense of higher rents for those Loughborough tenants that don’t become first time buyers, as the appeal of buy to let potentially weakens. Secondly, even though values have increased, realistic pricing (i.e. the asking price) is still the key to achieving these figures… so if you are considering selling in the next 6 months – please bear that in mind. 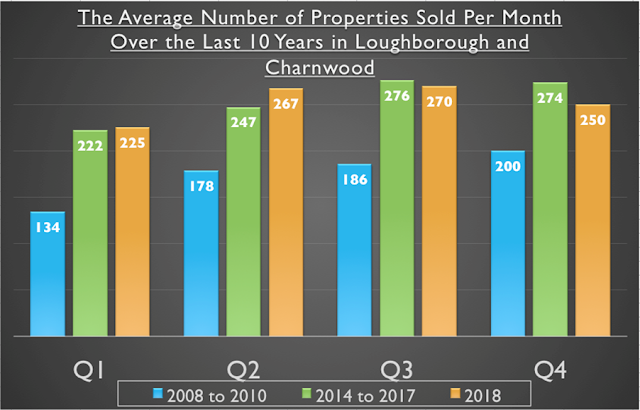 For more thoughts on the Loughborough Property market, and for great Buy to let deals, irrespective of which agent is selling the property, please feel free to call us on 01509 260777 or email me for more details.